Both NASC and CISRS are very pleased to have taken an active role in the recent Roof Work and Work at Height training event, which was organised by Access Industry Forum (AIF) as part of the Working Well Together campaign. 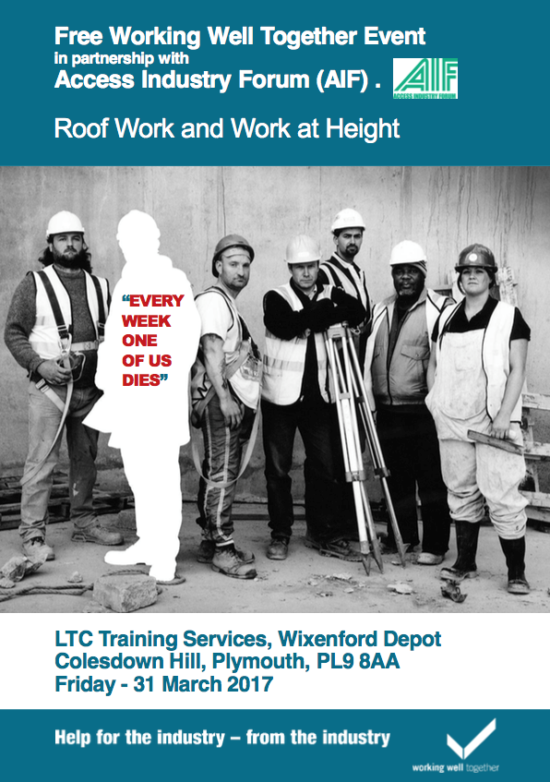 The free half day event was aimed at offering small construction companies and self-employed builders, support, advice and up-to-date industry guidance – hosted by NASC member and CISRS approved training provider, LTC Training Services at their centre in Plymouth on Friday 31st March. 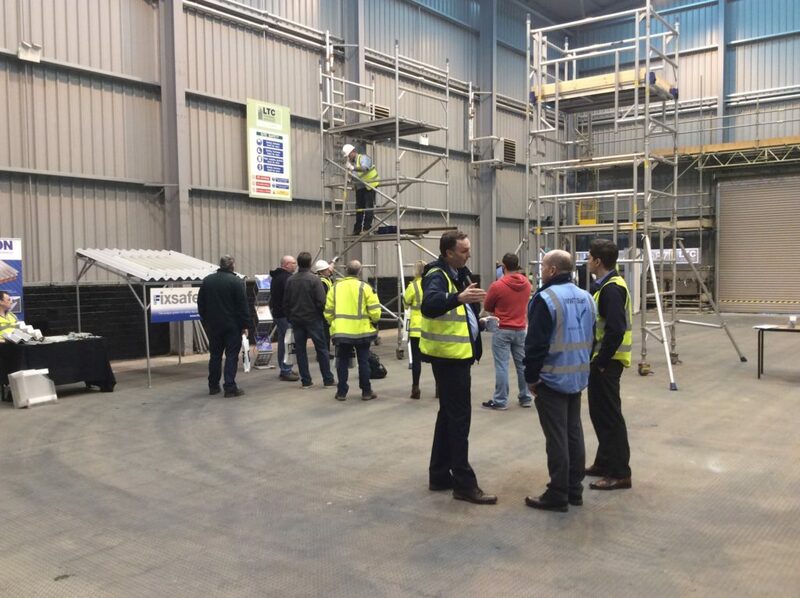 The event attracted lots of attention from the construction sector, including several representatives from the HSE, and consisted of talks and demonstrations covering work at height, roof ladders, powered access, scaffold inspection, prevention of internal and external falls, and tower scaffolds. Attendees also had the opportunity to ask questions of the industry experts present, including an HSE inspector. For more information on Working Well Together, visit the website here. And for details about becoming an NASC member, and to find out more about the NASC – the scaffold industry guidance trade body – please visit www.nasc.org.uk or email: enquiries@nasc.org.uk. Or for further details on the Construction Industry Scaffolders Record Scheme (CISRS), please visit www.cisrs.org.uk or email enquiries@cisrs.org.uk.